The hype surrounding blockchain has often clouded people’s understanding of the tech, according to a recent study by BitFortune. A closer look at the impact of blockchain on 16 industries, however, shows the decentralized ledger continuing to break new ground within the next five years. In fact, nine out of 10 professionals cited by BitFortune believe blockchain will be a game-changer in the banking and financial industry; 80% of bankers are predicting commercial adoption by 2020. Blockchain enables users to validate peer-to-peer transactions without the need for a central clearing authority. 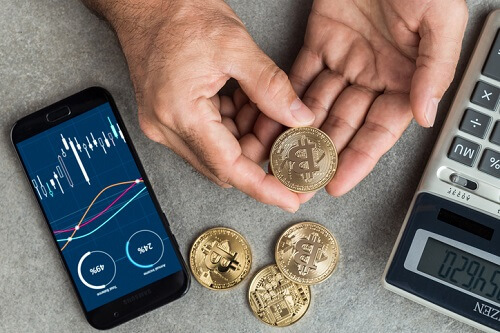 The introduction of the digital ledger is expected to speed up transactions, reduce costs, and improve security and record keeping in industries far and wide. “Despite some skeptics, the majority of experts agree that blockchain has the potential to disrupt the banking and financial industry, and many other ones,” the researchers noted. Other sectors stand to benefit from the use of blockchain, experts believe. In the HR industry, for instance, there are at least a few use cases for the new system – from verifying a candidate’s employment history, to managing benefits, to paying employees in cryptocurrency. Smart contracts, or digital versions of traditional paper contracts, for instance, can be stored in blockchain. The digital ledger is accessible and transparent to all parties and programmed to execute the terms of the agreement automatically. And, if the parties are operating in different parts of the world, as in the case of freelancers and independent contractors, they can also save up on cross-border payment fees through the use of cryptocurrencies. “Every country has different laws and policies, meaning you’d have to have a collection of contracts for each of the cross-country employees. Blockchain provides smart contracts technology which will make these challenges more manageable,” said HR tech expert Soumyasanto Sen. In the insurance sector, on the other hand, more than half (56%) of firms now see the value of using blockchain for transparent and relevant record keeping; reducing the incidence of fraud; streamlining the claims process; and enhancing the customer experience, BitFortune said. In the real estate industry, blockchain tech is used in smart contracts to guarantee increased transparency and the prevention of fraud, the researchers added. Blockchain also claims to support the healthcare industry in a similar way by offering a complete and tamper-proof documentation of a patient’s medical history. The digital record will be accessible only to the patient’s doctors. BitFortune said 55% of healthcare apps will adopt blockchain by 2025. Blockchain is seen as a game-changer in other sectors, including government, cybersecurity, networking and the Internet of Things, cloud computing, supply chain management, transportation, and energy.